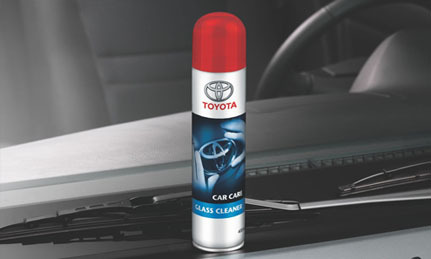 Toyota exterior care products give your car even more presence. They not only preserve your car’s good looks, they also protect the environment and you – there are special window formulations for safer driving. 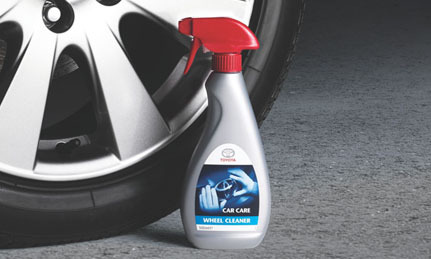 Special, environment-friendly formulation cleans and glosses your car exterior. Suitable for use on all Toyota paint finishes. Contains wax for a protective, long-lasting gloss. Concentrated formula gives up to 25 washes from one 500ml bottle. Wadded cap helps avoid leaks. Top quality wax polish for a tough, high gloss protective finish. The easy way to clean dirt and dust from wheels and trims. 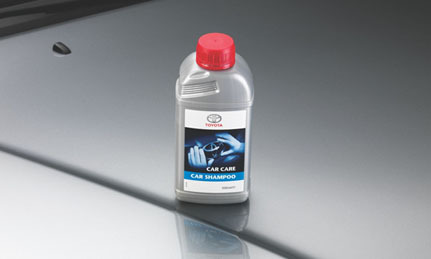 Removes ingrained brake dust and traffic film. 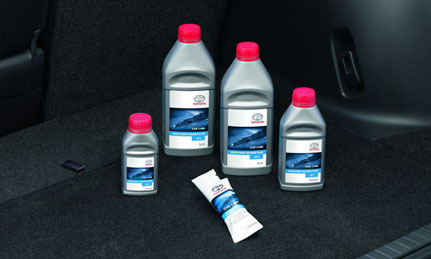 Suitable for chrome, wire, steel and lacquered alloy wheels. Gives your wheels a fresh clean look. Aids safer driving by removing film, grease and marks from the windows. For exterior and interior windows and mirrors. Fast and effective clearance of traffic film, insects, grease and tobacco residue. Smear-free finish for maximum visibility. Delicate lemon fragrance for in-car freshness. 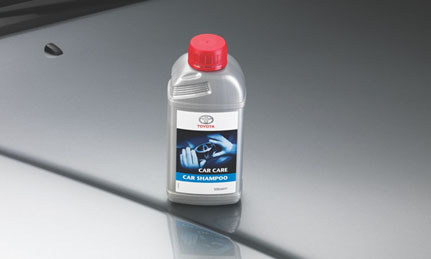 Works with your wipers to clear dirt and residues for safer day and night driving. Dissolves and washes away grease, insect, bird and traffic soiling. Gentle on paintwork, rubber, plastics and metals. -10˚C, -20˚C, -40˚C and -50˚C formulations to protect against freezing. May be diluted with water for summer driving. 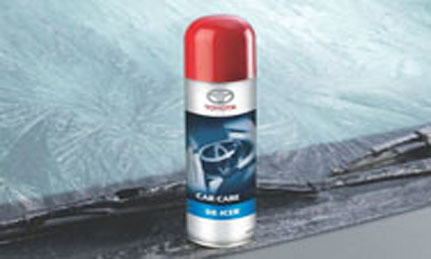 Fast-acting aerosol for clearing frost and ice from your car’s windows and mirrors. Essential for winter and cold weather safety. Contains anti-freeze to help maintain clear windows. Easy to use spray for quick results.